Okay, I already liked Dr. Ben Carson since I first saw him talk at the National Prayer Breakfast about a month ago, but his plug for engineers in his book, America the Beautiful , moved him up another level in my estimation even though he included scientists in the compliment. 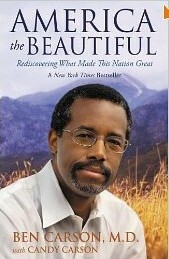 Based on his taking on many of Obama’s policies directly in front of Obama I had high expectations from Dr. Carson’s book. He mostly met them, but also had some positions that, in my mind, weren’t all that conservative. I didn’t like that at first, but came to appreciate his view, though differing from mine, on many issues. It was refreshing to read ideas from a conservative and religious person who had a very different upbringing from mine. This article was published on Mar 22, 2013 . It is tagged america the beautiful, ben carson, education, health care, socialism, welfare. You can follow any responses to this article through the comment RSS feed.